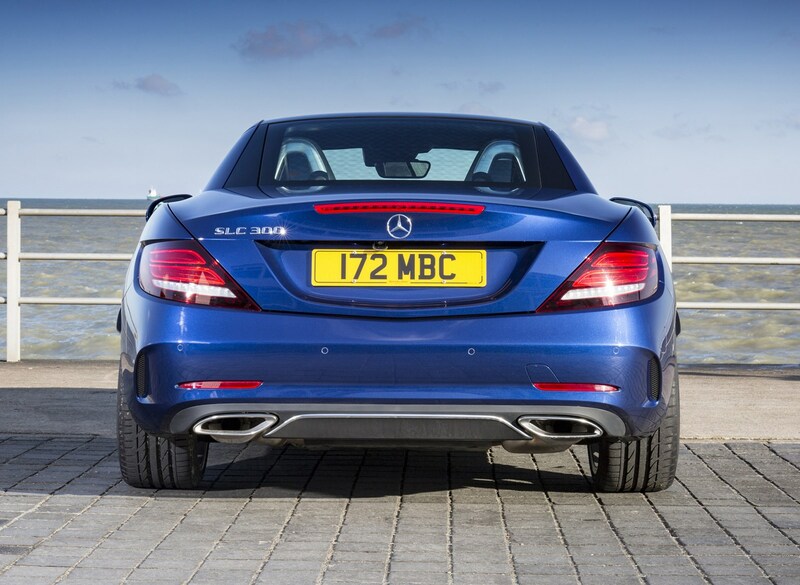 You’ve got a choice of three engines in the standard SLC line-up – two petrols and the best-selling diesel. 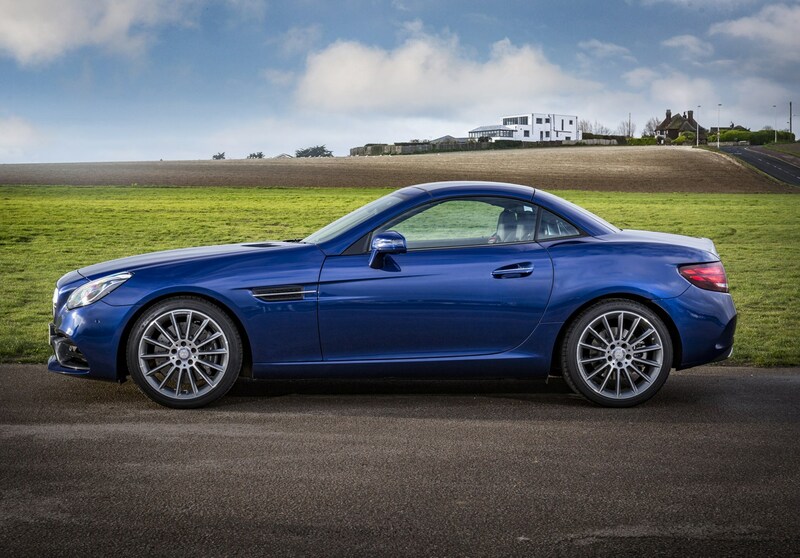 There’s an AMG version that we will cover in a separate review. 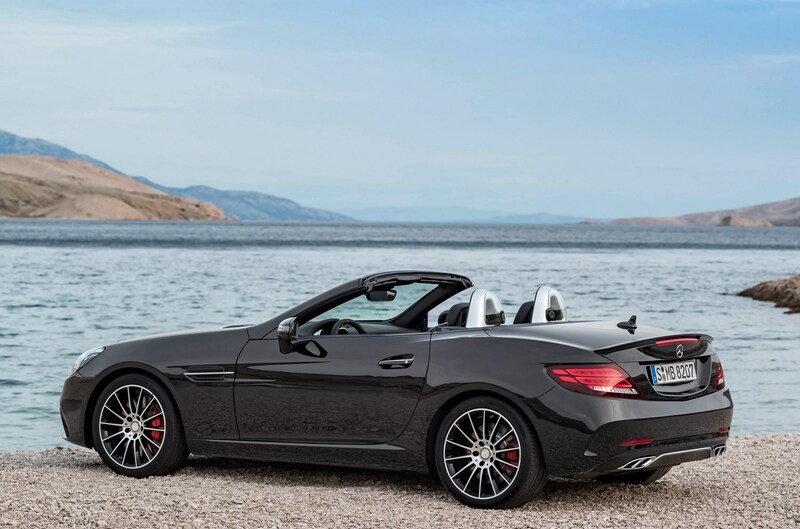 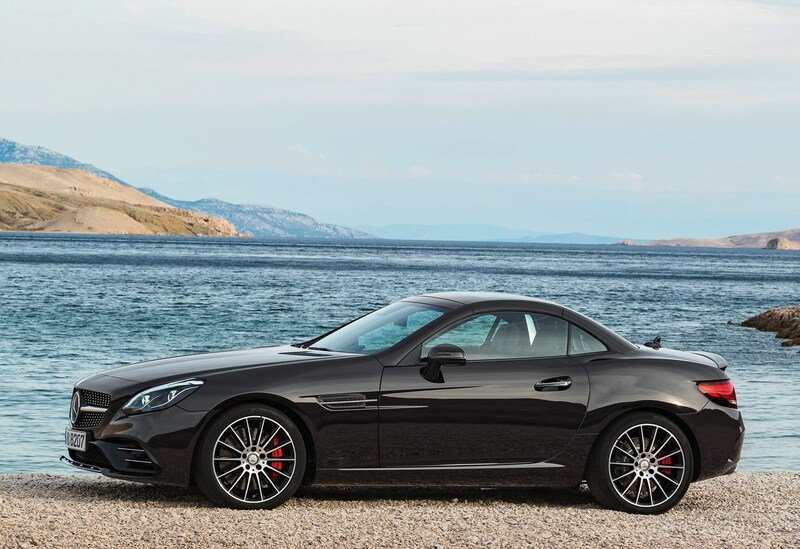 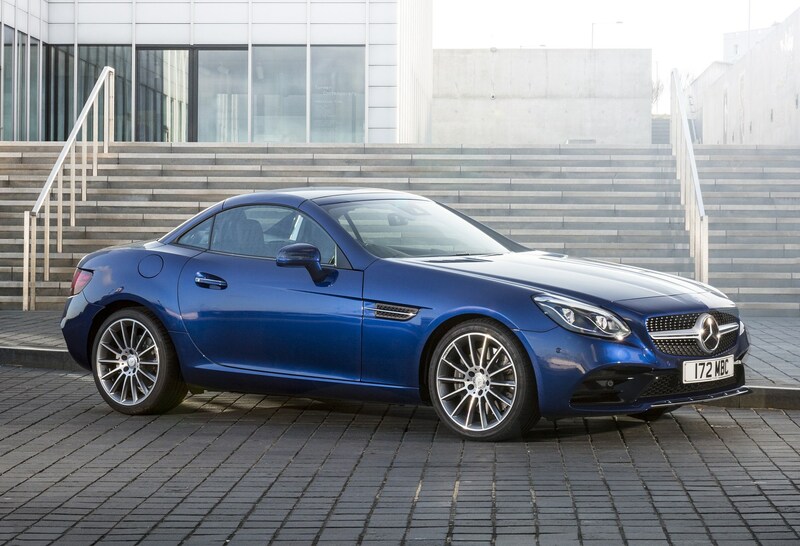 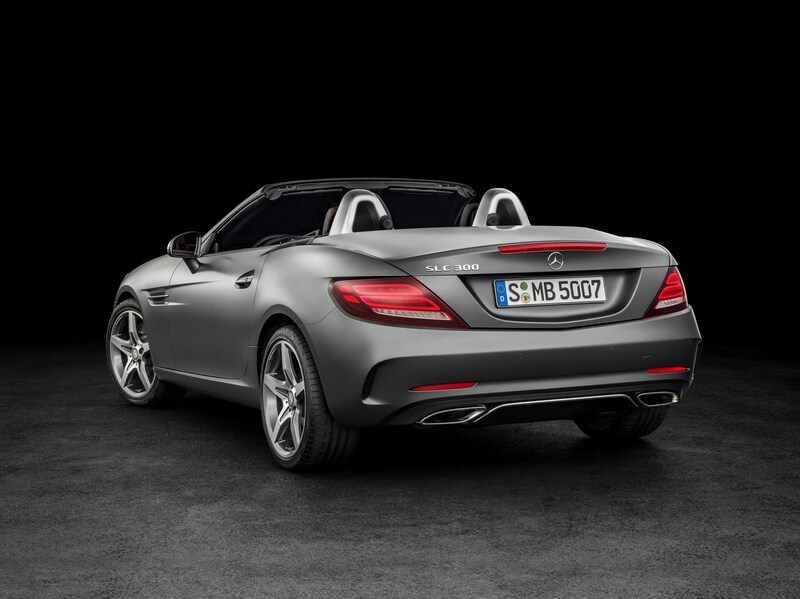 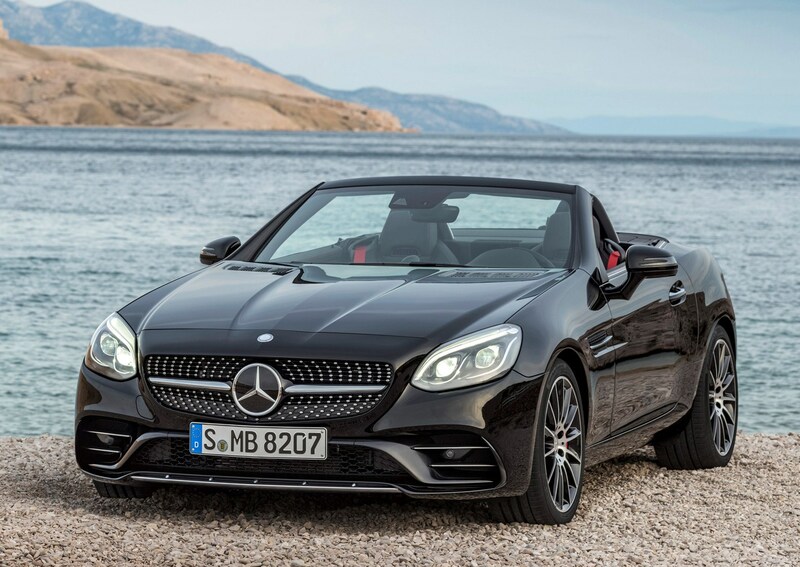 In total the diesel version took 70 percent of SLK sales and Mercedes-Benz reckons on the SLC performing similarly. 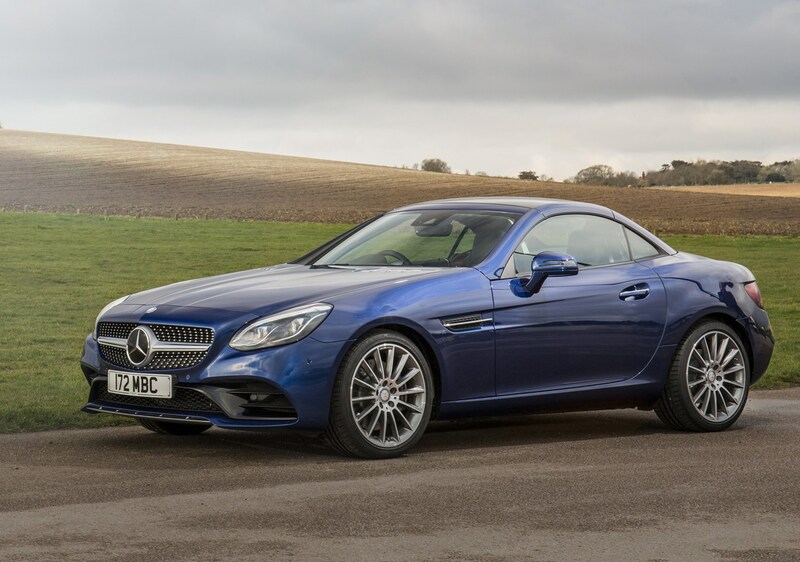 The SLC 250d uses the firm’s existing 2.1-litre, four cylinder diesel putting out 204bhp and racing from 0-62mph in 6.6 seconds, yet still manages 70mpg and low tax bills. 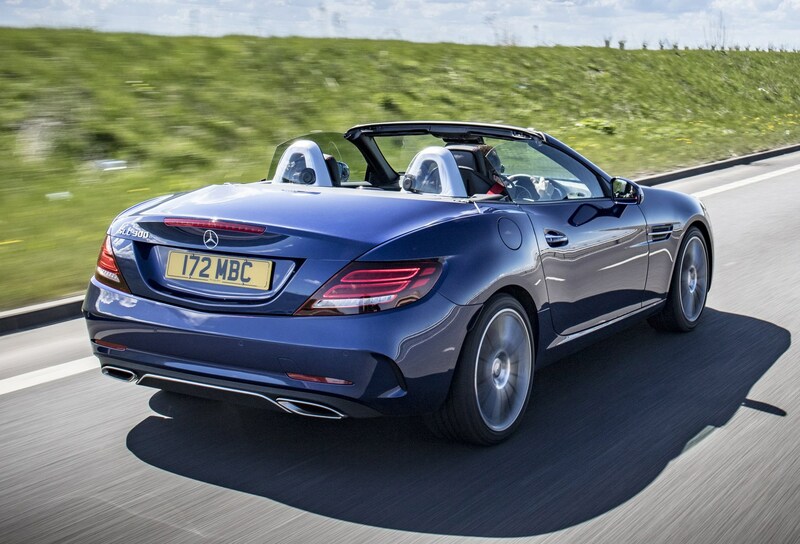 It’s a quiet engine on the move, even with the roof down, with only a hint of diesel clatter on start-up. 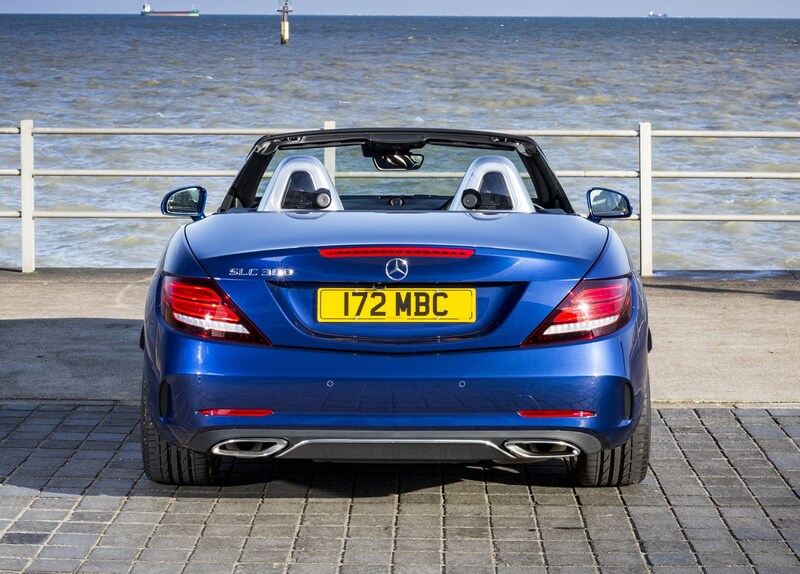 The exhaust noise isn’t as exciting as the petrol versions but a range-topping 500Nm of torque (only bettered by the AMG car) provides a satisfying punch out of a corner. 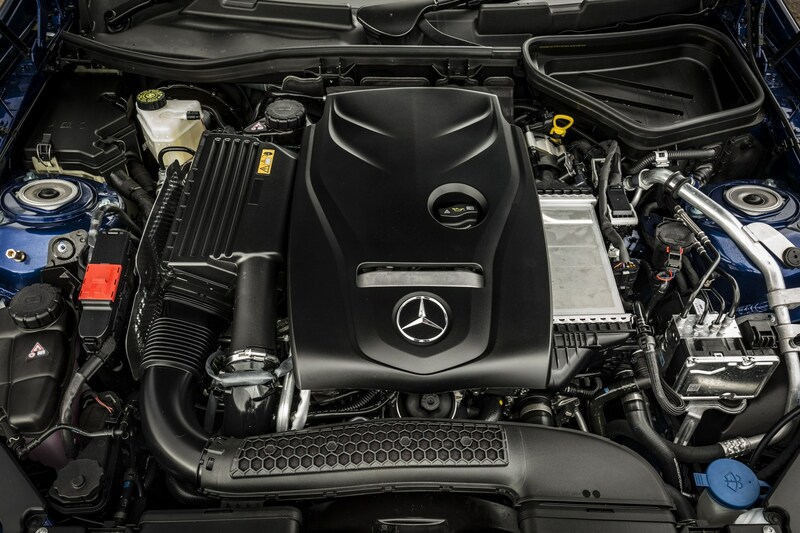 There are two choices here, both using a 2-litre, four-cylinder turbocharged unit with two different power outputs. 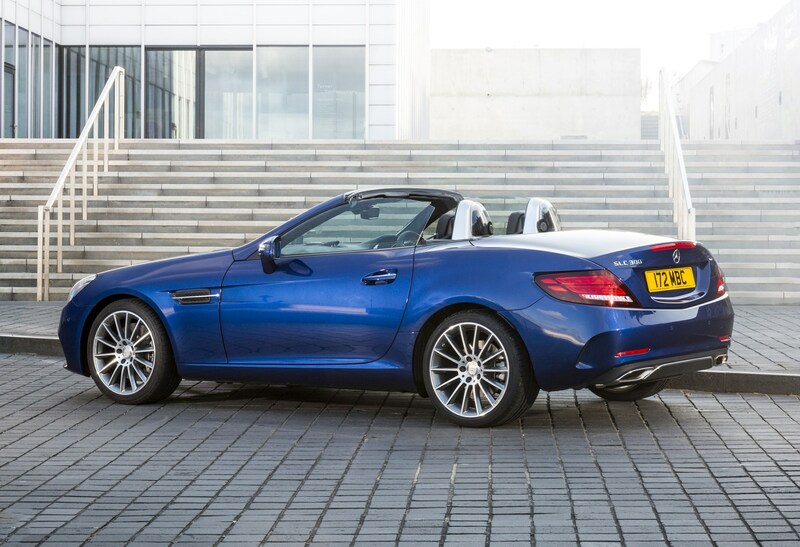 First up is the SLC 200, which has 184bhp and 300Nm of torque, and is good for a 0-62mph time of seven seconds with a six-speed manual gearbox. 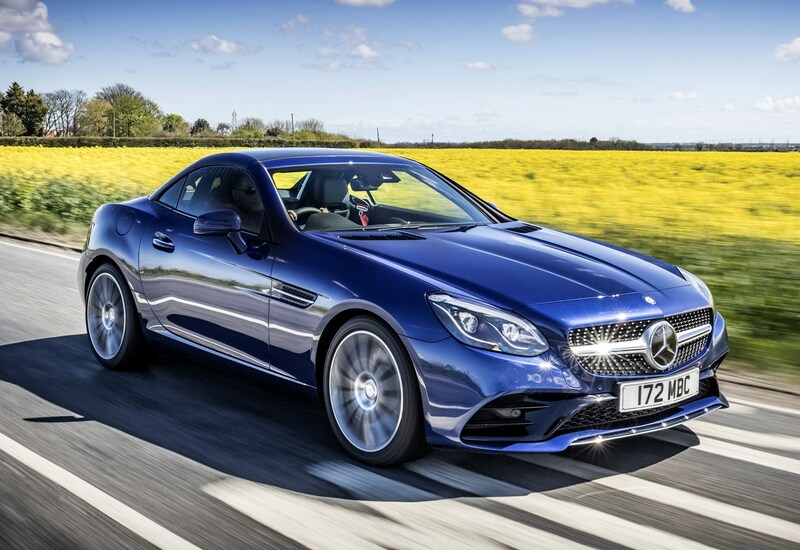 The automatic version does this a tenth quicker and offers better economy. 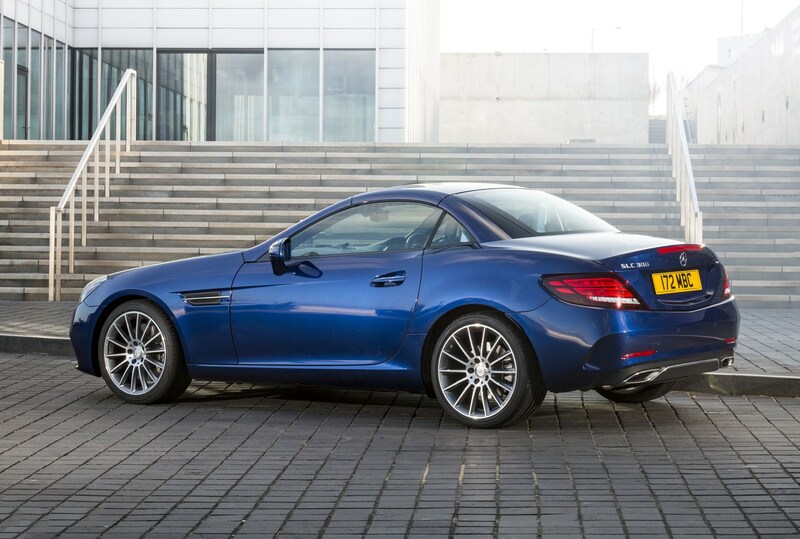 Topping the standard range is the SLC 300, which has 245bhp and 370Nm of torque, cracking the benchmark sprint in 5.8 seconds. 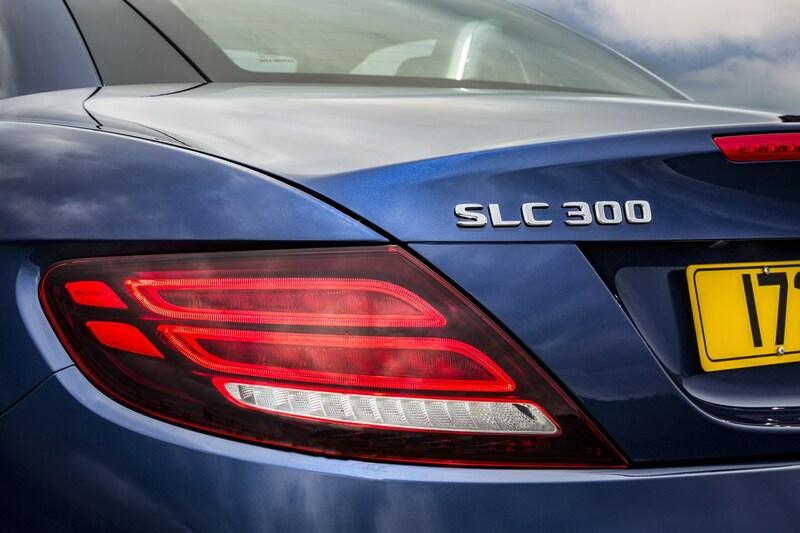 Economy is broadly similar to the SLC 200 too, so in terms of running costs it’s a no-brainer. 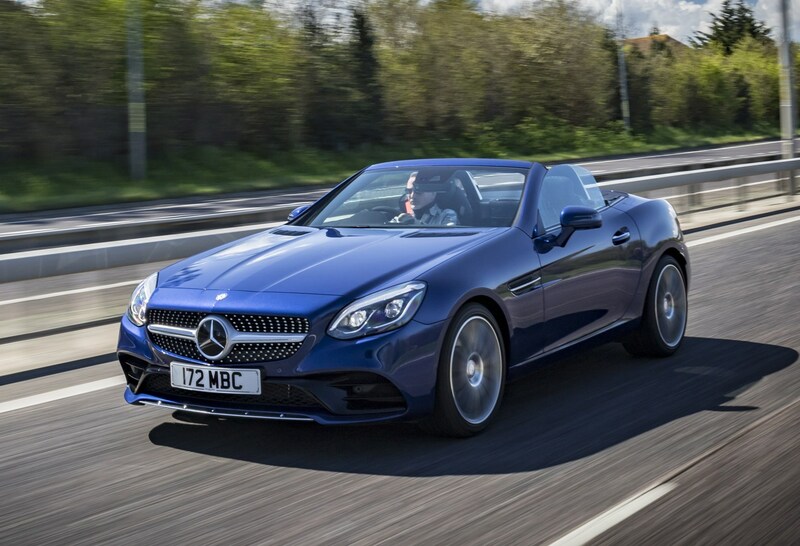 Performance-wise it’s all the SLC you’ll need - it feels a whole world faster than the less powerful SLC 200 and features a lively exhaust note, full of low-speed burble and fizzy, crackling gearchanges. 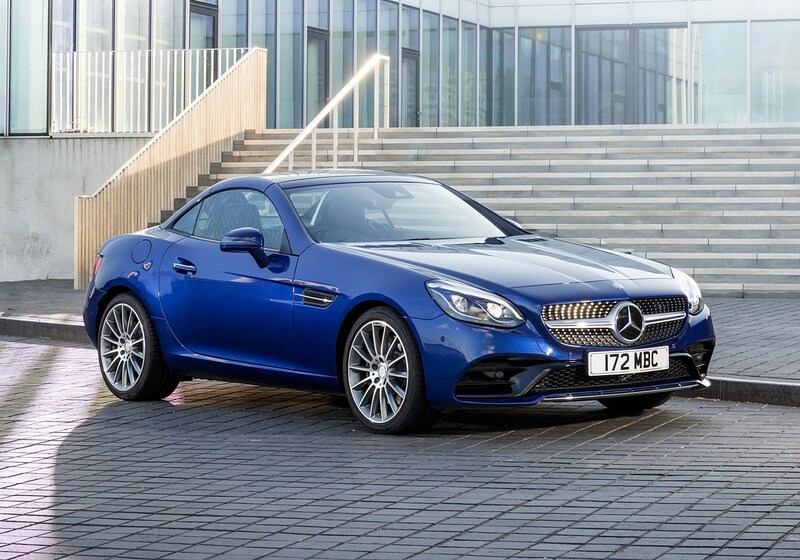 The 9G-Tronic automatic gearbox is standard on both the SLC 300 and 250d - the 200 is sold with a six-speed manual with the auto ‘box an option. 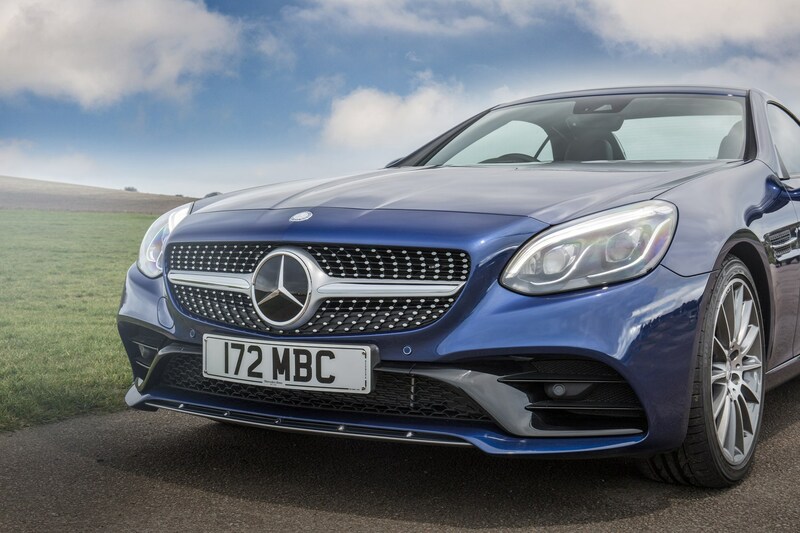 We didn’t drive a manually-equipped car but considering the economy benefits of the 9G-Tronic, it’s an easy thing to recommend, before you add the ease of use and fun-factor too. 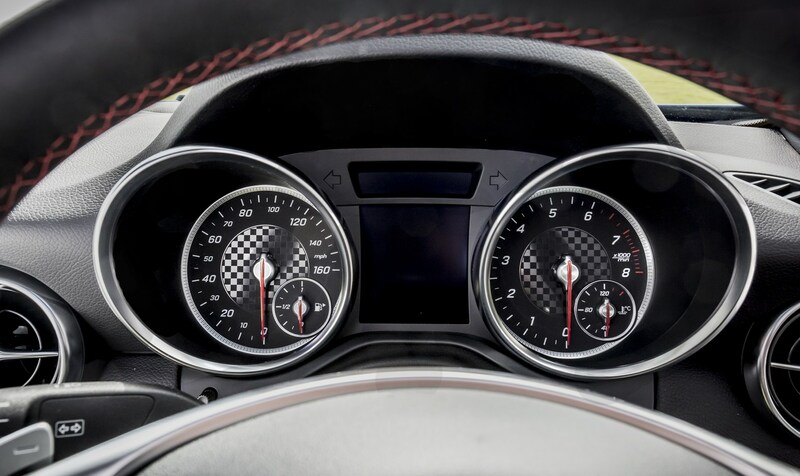 Expect feedback or driver involvement like you get from a Porsche Boxster and you’ll be disappointed – this is not a car for enthusiasts craving proper sports car responses. 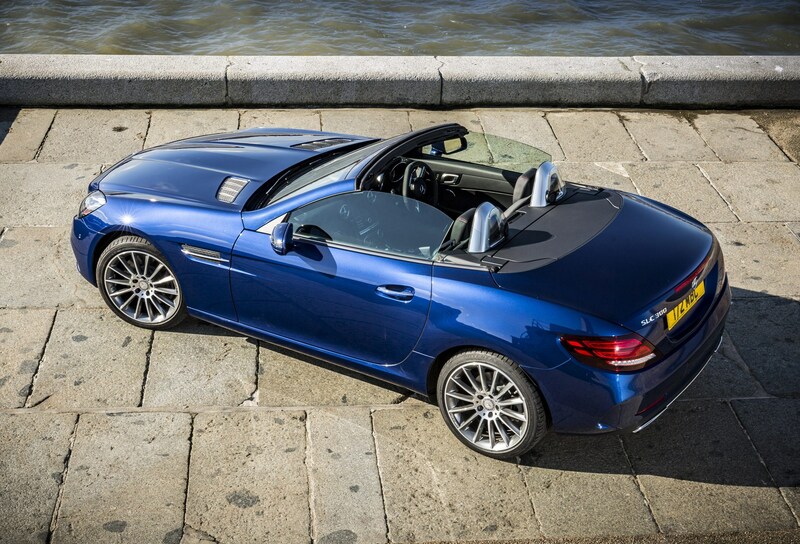 That doesn’t mean you can’t have fun though, and on a fast, flowing road the SLC can put a big smile on your face. 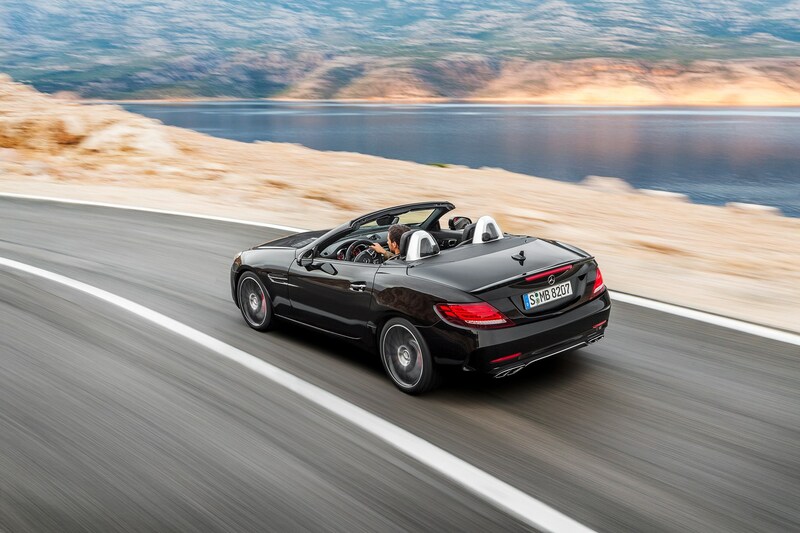 There’s plenty of grip and the steering is sharp and accurate, it’s just not as communicative as we’d like. 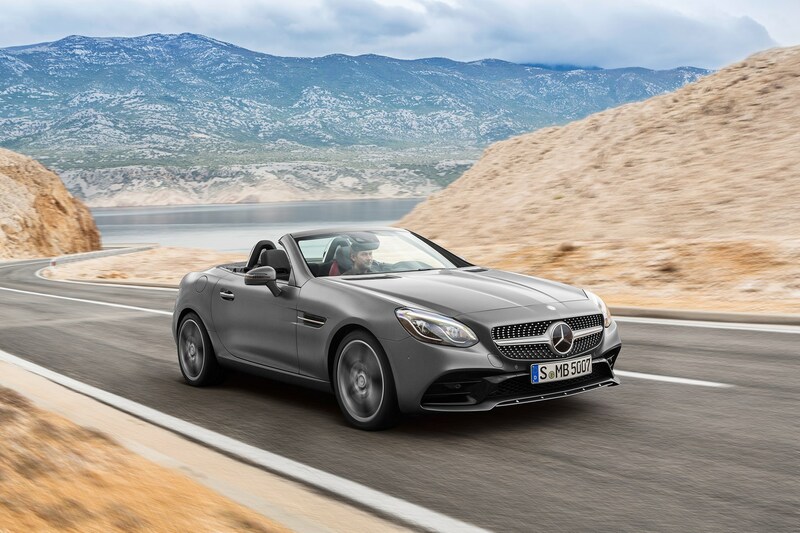 New to the SLC is Mercedes-Benz’s Dynamic Select system, which sets up the engine, transmission, steering and suspension in one of five different modes. 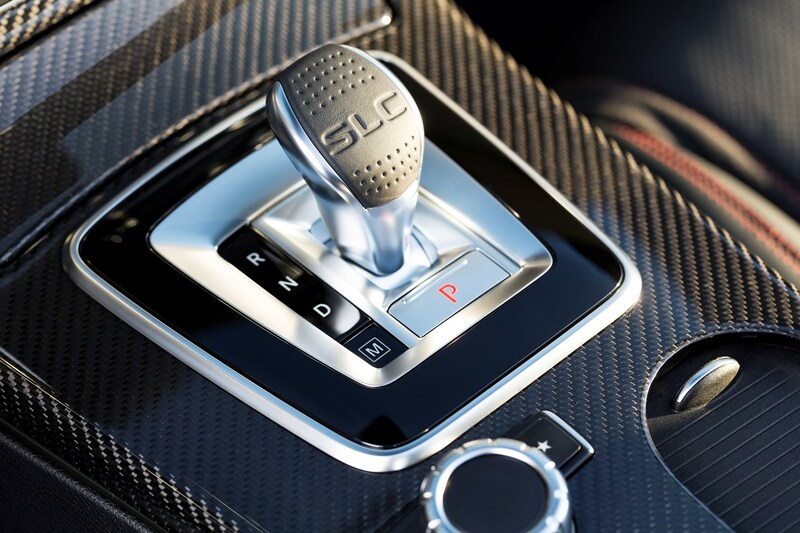 Pick between Comfort, Sport, Sport+, Eco and Individual by using a button in the upper control panel. 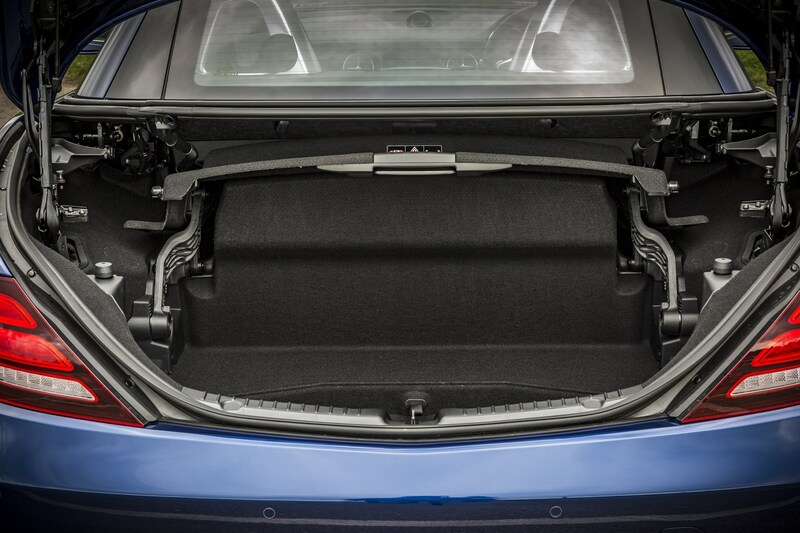 This is only available in automatic cars. 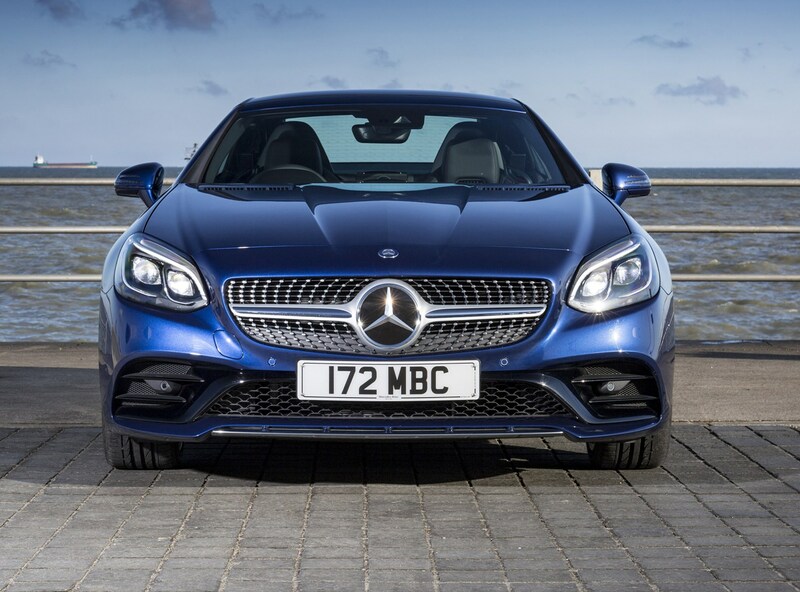 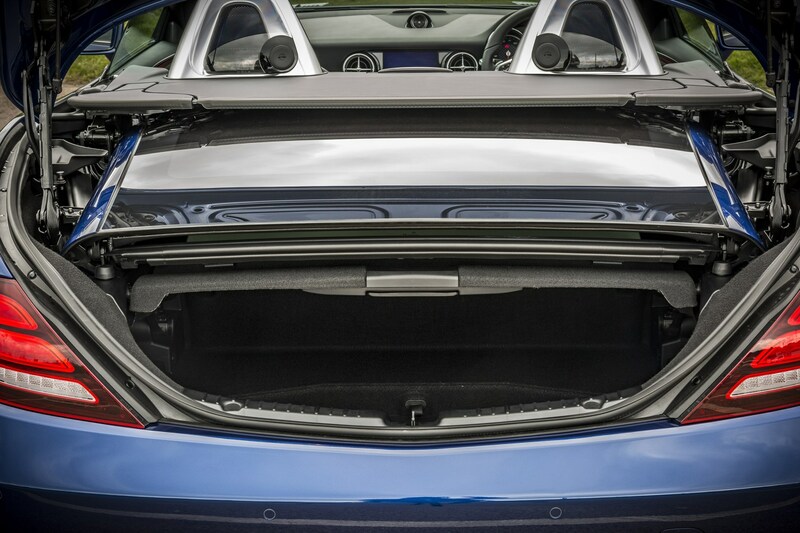 It’s the usual mix of expensive-looking materials all bolted together with hard-wearing precision that we’ve enjoyed in other Mercedes-Benz cars. 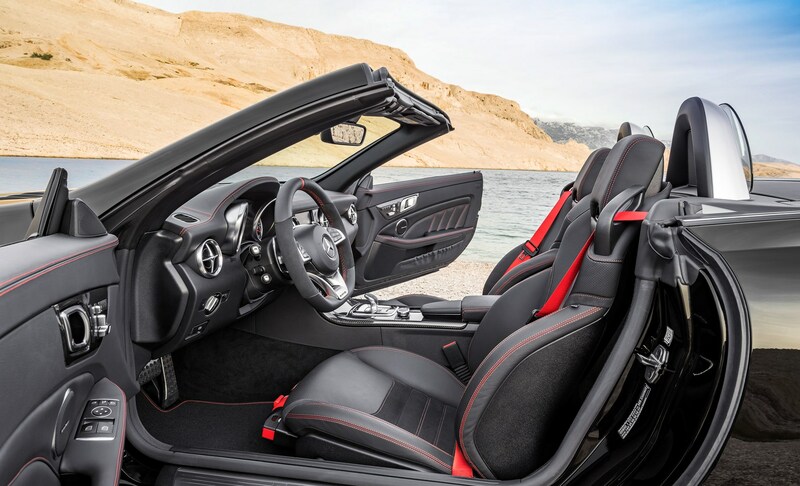 The new infotainment system looks crisp and is easy to navigate. 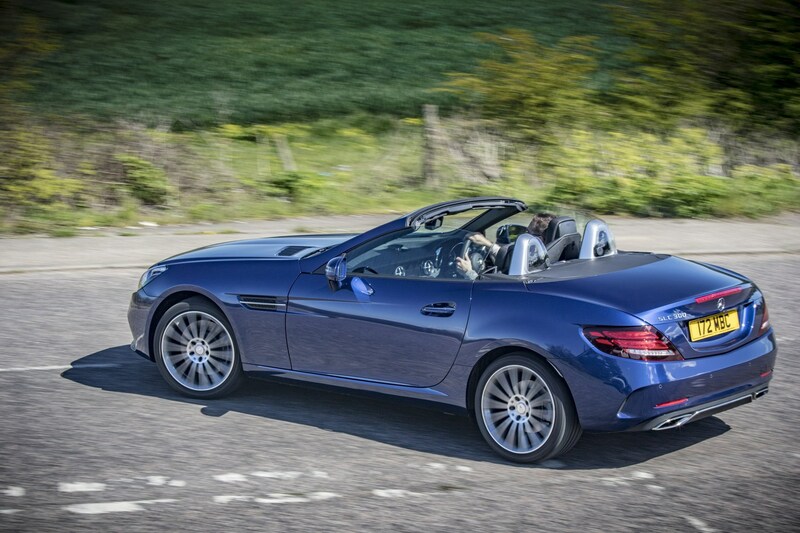 In terms of design the SLC hasn’t moved on very much from the SLK so there are still plenty of buttons on the centre stack. 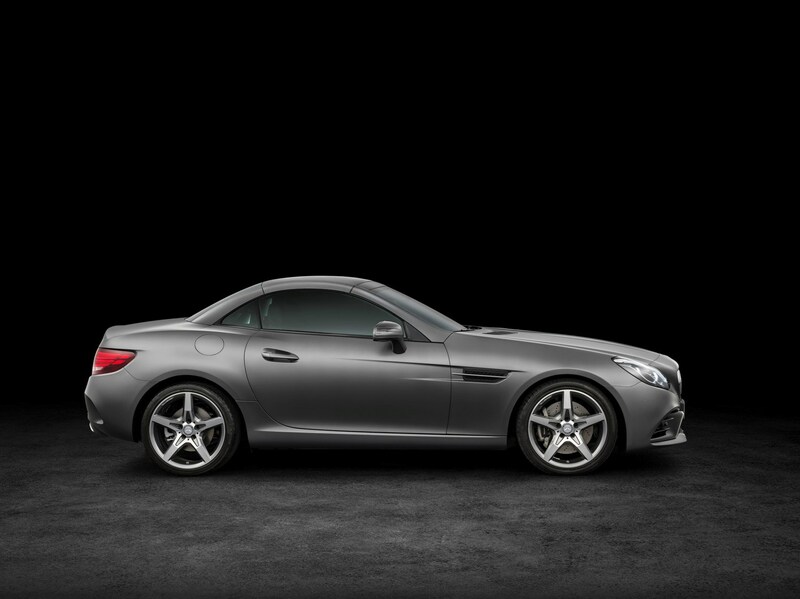 The SLK was very comfortable for a roadster and the good news here is that little has changed. 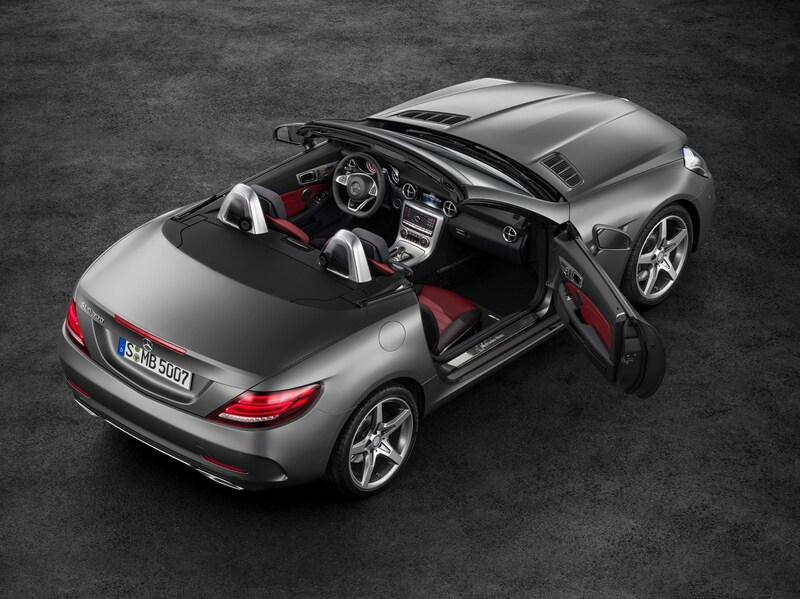 There’s hardly any draught in the cabin with the roof down and the Airscarf is a great addition on cold days. 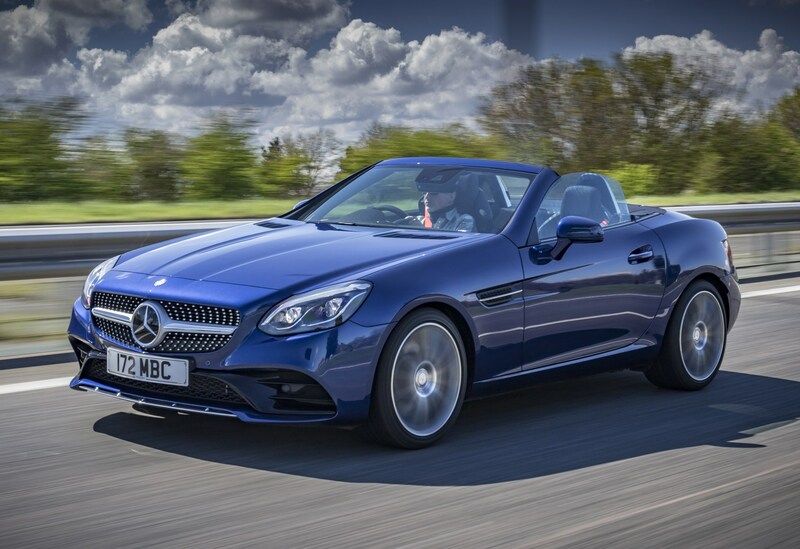 Close the roof and the benefits of its metal construction are obvious – it’s quiet and wind-noise free unlike some fabric soft-tops we’ve tested. 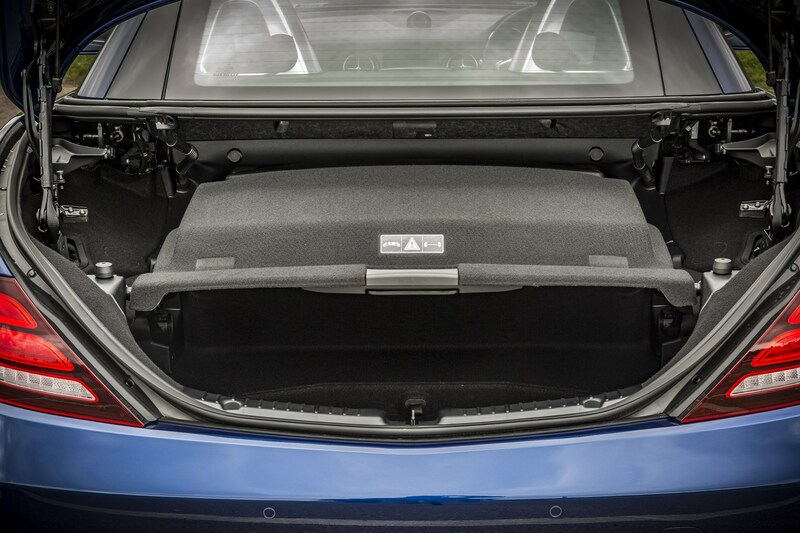 Adaptive suspension ranges from sporty but comfortable to firm, with varying degrees of shock absorption depending on which mode you choose. 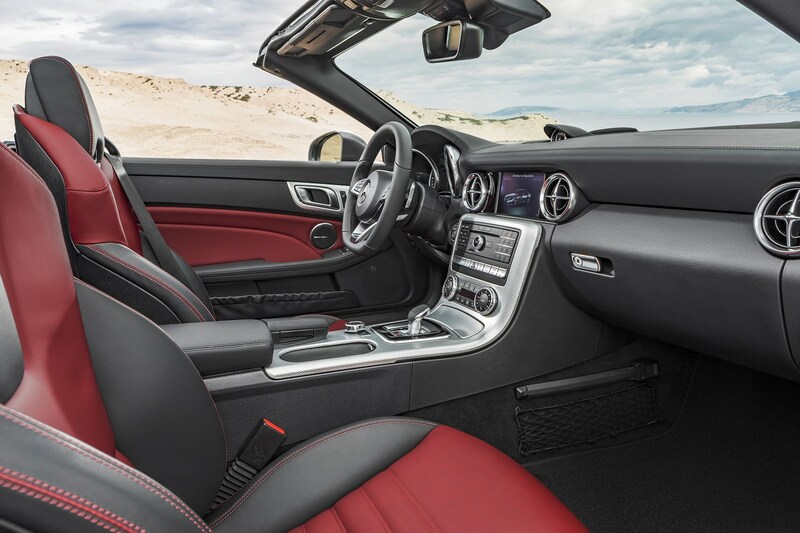 The seats are cossetting and provide good lateral support but as with any two-seater there’s not a huge amount of movement either back and forth or in the angle of the seat back.